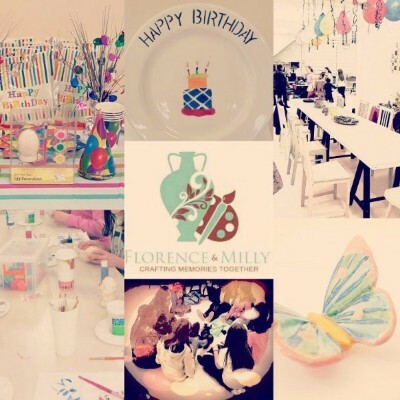 We all know that children love to paint and get messy, so why not have a painting party here at Florence & Milly? From Birthdays, Holy Communions, Confirmations and Christenings. 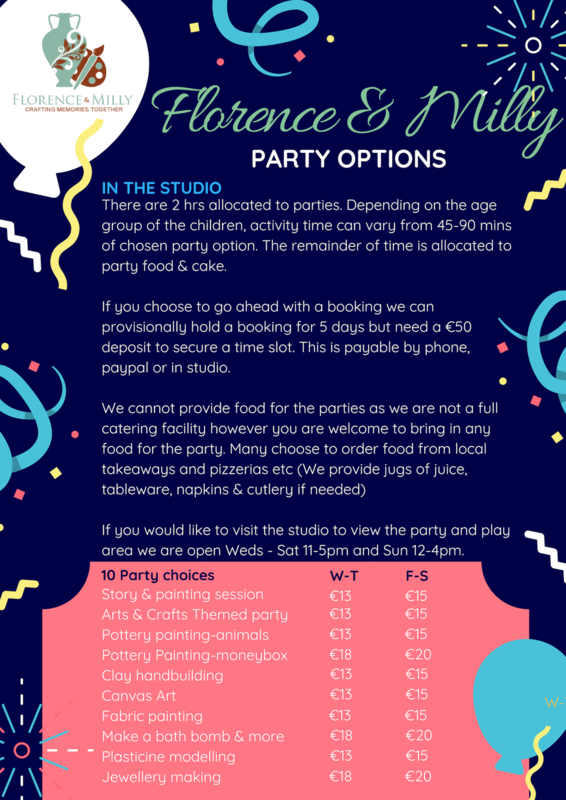 The following are our party options but we are happy to tailor a party to suit you so please contact us and we can discuss your individual requirements. We ask that there are two adults present for each party. Feel free to bring along party food/drink, or contact us to order in food from local businesses. We have several different options available starting from €13 per child. 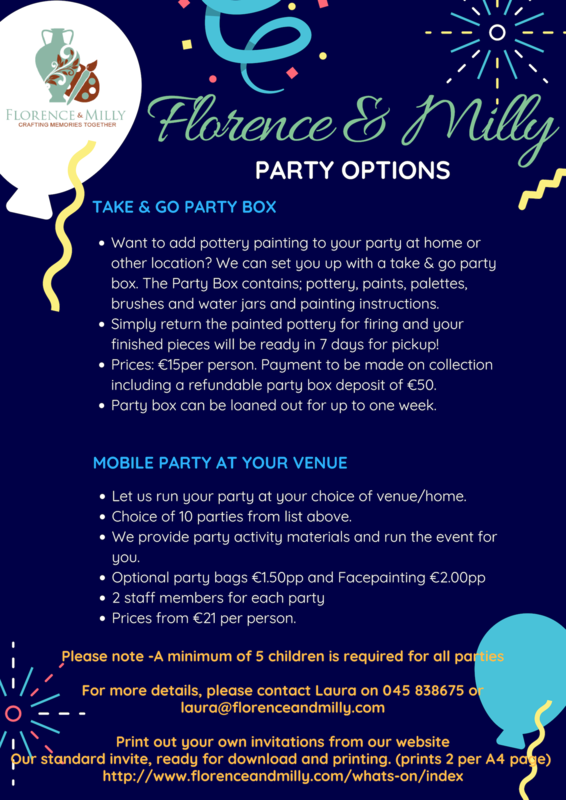 Party Prices Include all materials, including unpainted pottery, non-toxic paints, decorative products & tools. Extras: Party Bags €1.50 per child, Facepainting €2.00 per child, Mini Chocolate fountain €2.00 per child.